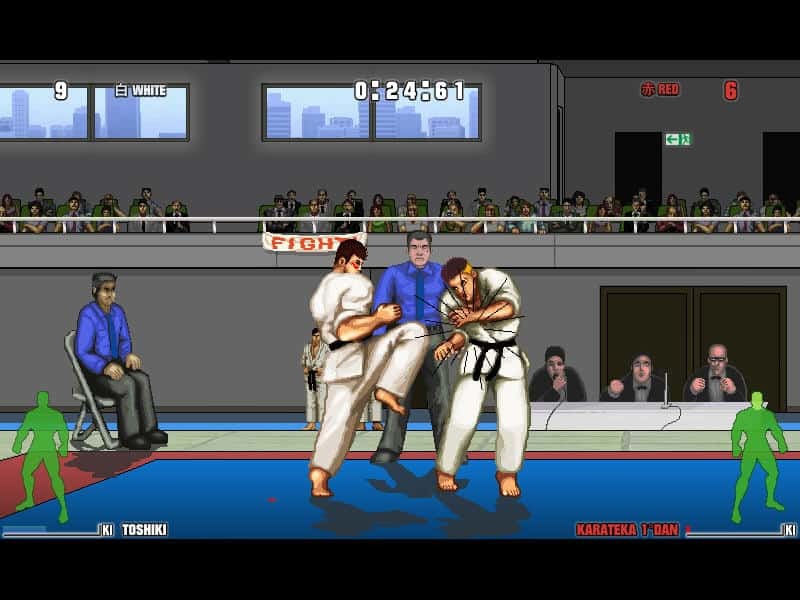 The last time I played a Karate game was probably on the Amiga if you consider Budokan that. If you do not, it was International Karate+ on the C-64. 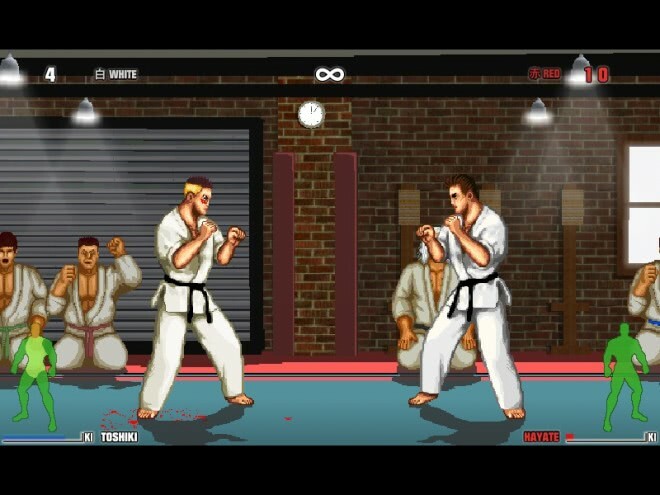 Karate Master is a game for PC that is not only about fighting cpu opponents or your friends, but also about the training that is involved to become a master. If you know the ins and outs of Karate, you are definitely at an advantage here as the game is making heavy use of key terminology. I quickly noticed that I'm in trouble when the Sensai wanted me to perform moves like Uchi Uke, Jun Tsuki or Uchi Mawashi Geri. While the game is nice enough to display the buttons that you need to use to perform the move, it is still difficult to pull off since there are four buttons that control your moves plus the movement buttons, and sensitivity is a bit on the high side of things. You can connect a controller to the PC to use it instead to play the game and train to become a world class Karate warrior, or use the keyboard instead which you need to configure on start to map keys to actions. The game presents you with two options afterwards. You can go to the Dojo to train, or fight a computer or human opponent in a match instead. The graphics are really nice for a free game and remind me of classic Amiga / 16-bit era games. It is probably a good idea to start in the Dojo to train your character before you try to punch, kick and block against computer opponents as they are quite tough to beat, especially if you have no idea what you are doing. This does not really matter in a player versus player fight though. Still, the Dojo should be your first destination and there one of the training sessions the game makes available to you. A total of eight different training sessions are available. From training various strikes, blocks and kicks that your master shouts out to endurance training to the popular smash-bricks-with-strike test. Once you have trained enough it is time to either fight in sparring sessions against single opponents, or participate in a tournament to become the winner of the tournament after beating several opponents first. The game is quite fun once you start to understand the key concept of blocking and attacking. It certainly has its downsides, like mouse only navigation in some menus, loading times, the Italian text that is sometimes displayed, or sensitivity issues when you need to press two buttons to perform an action, but other than that, it is a well rounded game. If you like realistic fighting games where contestants do not shoot fireballs out of thin air, then Karate Master is likely a game that you will be interested in.